Global Development International Inc and the Shredderhotline.com™ Company Inc. have more than 40 years of manufacturing experience with shredding and recycling systems, including the Eidal shredder™ line of equipment made today, with Worldwide manufacturing locations and partners in the USA, Asia and the EU. Our worldwide program allows everyone to buy new equipment at lower than used equipment prices. Shredders and recycling systems are not expensive anymore. We are not a broker. We are the first tier manufacturer, so our prices are direct from the source. With manufacturing in the United States, Europe and Asia, we are uniquely positioned to service the world delivering the highest quality products at the lowest prices available. Simply put, we offer Western quality at Asian prices. We believe that Tire Recycling is one of the most important and lucrative recycling potential that has so far not been exploited to its full potential. Used tires pose a significant negative impact on the environment. 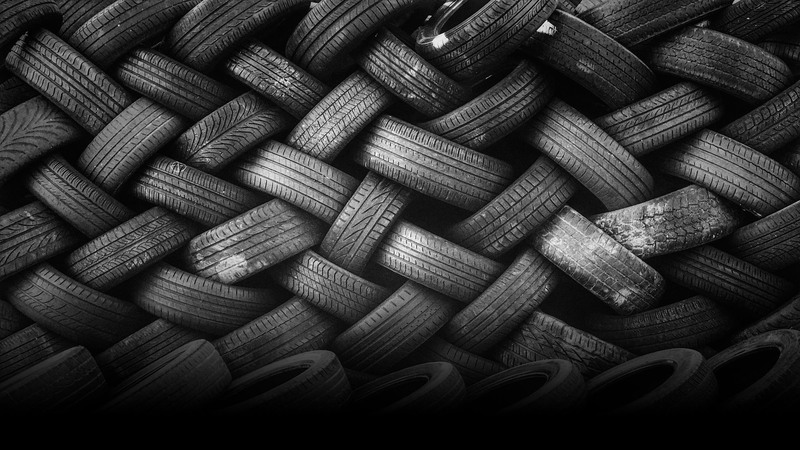 Our tire recycling systems begin by pre-shredding complete car and truck tires to approximately 50-300mm scraps. Then our state of the art raspers enable to automatically separate the rubber fraction from the metal fraction or wire fraction. Our magnetic belts further separate the steel wires from the rubber. The next process of tire recycling involves using our granulators to reduce rubber materials into finer rubber parts. Finally, our vibrating tables and industrial aspirators sort different sizes of rubber crumbs for further processing. Any type and form of used metal can be recycled. Whether you have old car rims, springs, cars frames, metal construction materials or smaller consumer items, you can use our metal shredders to transform low quality voluminous material into smaller higher quality shredded metal frags. Our specialized line of shredding equipment will enable you to begin shredding and recycling different types of wood such as wood crates, wood palettes, wood construction materials, wooden ties from traditional train tracks, wood furniture, etc. No matter the condition of the wood, (wet, old, used, new) our shredders and shredding systems will enable you to start a productive recycling business or expand your current recycling facility to accommodate wood recycling. Whether you are looking to starting a recycling facility to collect, shred, recycle and sell different types of plastic or you need to replace your old shredder, we can guide you to make sure you invest in the right type of machinery built with the most strict standards yet at a very affordable price. Our E-Waste Recycling systems can separate different types of valuable material to reuse and resale. Our high quality industrial shredders will enable you to shredder and recycle used printers, computers, cables, tablets, household appliances like refrigerators, dishwashers and other valuable e-waste components. Used tires pose a significant negative impact on the environment. Our tire recycling systems begin by pre-shredding complete car and truck tires to approximately 50-300mm scraps. Then our state of the art raspers enable to automatically separate the rubber fraction from the metal fraction or wire fraction. Our magnetic belts further separate the steel wires from the rubber. The next process of tire recycling involves using our granulators to reduce rubber materials into finer rubber parts. Finally, our vibrating tables and industrial aspirators sort different sizes of rubber crumbs for further processing. +1 (815) 674-5802 – we have the answers you’re looking for. Within a single breeding season, one tire can produce more than 10,000 adult mosquitoes, said Illinois Environmental Protection Agency spokeswoman Kim Biggs. Tire shredders cost less than you might think. Most of our tire shredder clients discover that shredding tires with their own equipment actually saves them money. Yes, that’s right – your choice to buy this equipment will add to your bottom line profit. We Are A Full Service, Worldwide Manufacturing Company Offering Tire Shredders, Tire Recycling Equipment, Bottle & Glass Shredders, Metal Shredders, Low Hp Shredders, Wood Shredders, Shear Shredders, Single Shaft Grinders, Granulators, Knife Hogs, Hammermills, Pulverizers And Other Recycling Systems Equipment.